Harry Potter: Hogwarts Battle came out at the perfect time for me because I had just finished listening to all of the Harry Potter audiobooks (they’re awesome, by the way). 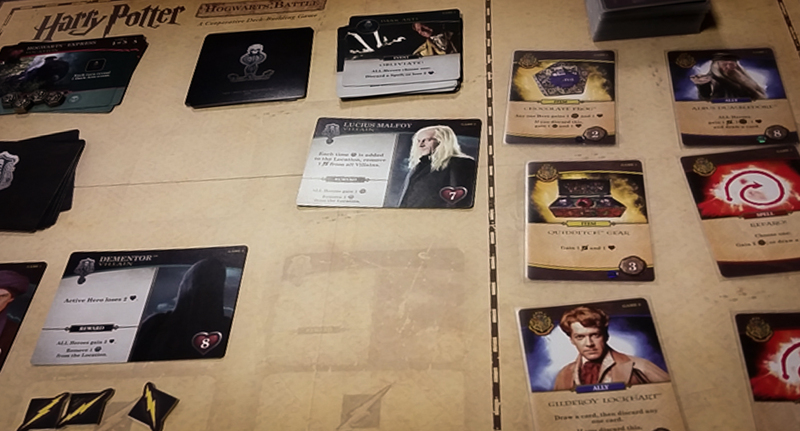 I was also looking forward to playing this with my group because we have a couple of huge Harry Potter fans. Did everyone like it? Read on to find out! What is Harry Potter: Hogwarts Battle? 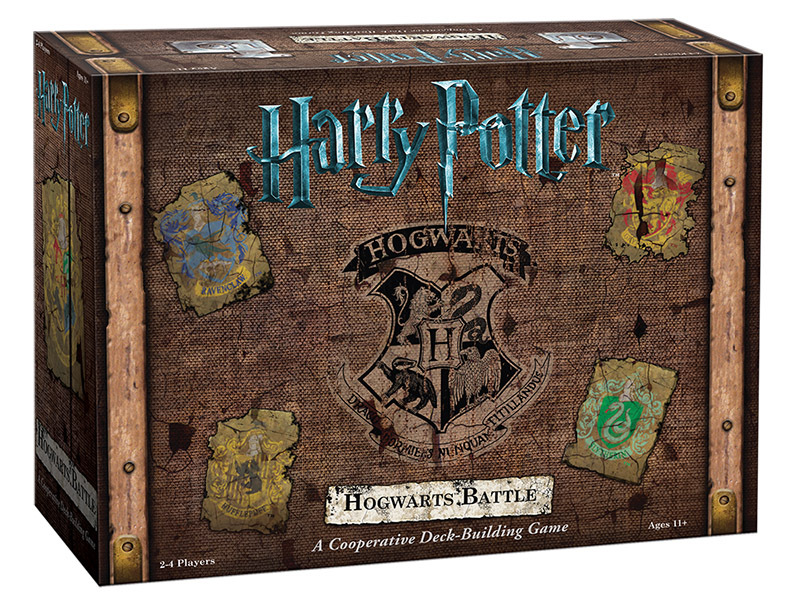 Harry Potter: Hogwarts Battle is a deck building tabletop game in which you and your teammates are trying to take down all of the popular villains from the book/movie series. You will play through each of the seven books from the series, adding in more mechanics and facing tougher enemies as you progress. At the beginning of the game, each player is going to pick a hero. You can be Harry, Hermione, Ron, or Neville. Each character has his or her own unique abilities as the game progresses, so you will have a slightly different role to play depending on who you choose. Gameplay is pretty simple, especially when you are playing the first couple of books. You will have a specific number of villains in the villain deck depending on the book that you’re playing; the villains will usually affect you in some way during your turns. At the beginning of your turn, you will have to turn over a Dark Arts card, which always helps the villains in some way. In fact, sometimes these cards will combo with a villain’s special abilities and knock your health down or affect you in some other way. You will also have location cards that you will want to keep the villains from influencing. Each location has a set number of spots where the villains place influence tokens. You will have a hand of five cards at the beginning of each of your turns. Some of those cards will allow you to buy upgrades for your deck. Other cards allow you to perform different actions, including helping other players and slowly defeating the villains. Your hand will reset at the end of your turn, so there’s no reason to hold on to any cards. You can’t “die” in this game, but if your health goes to zero, you lose half of your hand and the villains gain more influence over the current location. If you are able to defeat all of the villains, then wahoo!, the heroes win. If the villains are able to gain influence over all of the locations, then everyone loses. As you move from each book to book, the game will get tougher and more characters and mechanics will be introduced. It never gets too complex and even younger gamers should be able to follow along if they’ve played the game in order. If you’ve played other deck building games, you can actually start the game further into the story. This is possibly the easiest deck building game to teach, which is awesome because plenty of younger people are going to want to play it. It was a great idea to slowly incorporate more mechanics as you move through the books to make it simple for people to pick up how to play. Harry Potter fans should love that every major character can be found in this game. On top of that, you can also cast all of the most popular spells found in the books and movies, which adds to the theme and leads to some very funny and exciting moments with the right crowd. This game also does a great job of encourage cooperation. You pretty much have to help your teammates if you want to beat the game, but you will never feel like you wish you were doing something else. It’s almost the perfect gateway co-op game. It is a bit unfortunate that they decided to use stills from the Harry Potter films rather than going with original artwork. The pictures aren’t bad by any means, but stills just don’t look that great on cards in a deck building game. Since this is a slightly simplified deck building game, adults who are used to playing games like Marvel Legendary or Shadowrun: Crossfire might not like this one too much unless they are huge Harry Potter fans. We can’t hold that against the designers, though, since it was made to be a family game. If you’re a Harry Potter fan, you simply have to get Harry Potter: Hogwarts Battle. In our collective opinion, it’s easily the best Harry Potter game out there today because it has all of the characters people of all ages enjoy it. It didn’t quite make it onto our list of best cooperative deck building tabletop games, but multiple people in our group think it should replace The Big Book of Madness. I actually own both now and I’ll be keeping both of them since they play quite differently despite having similar themes. 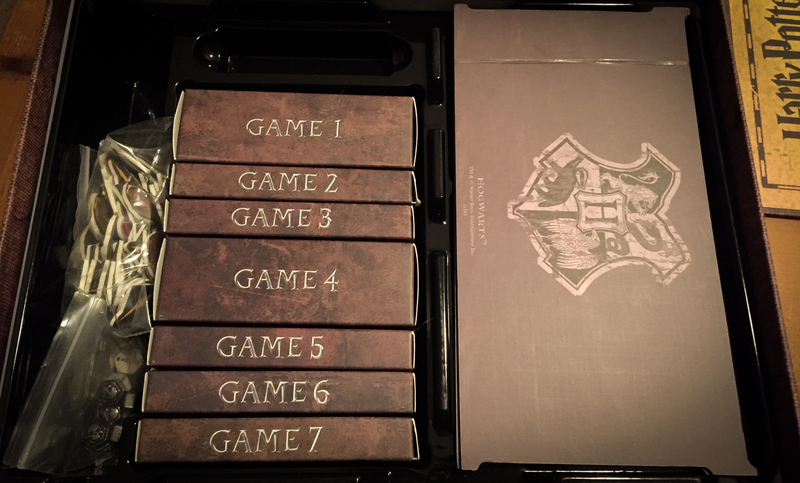 Thanks for taking the time to read our Harry Potter: Hogwarts Battle board game review!